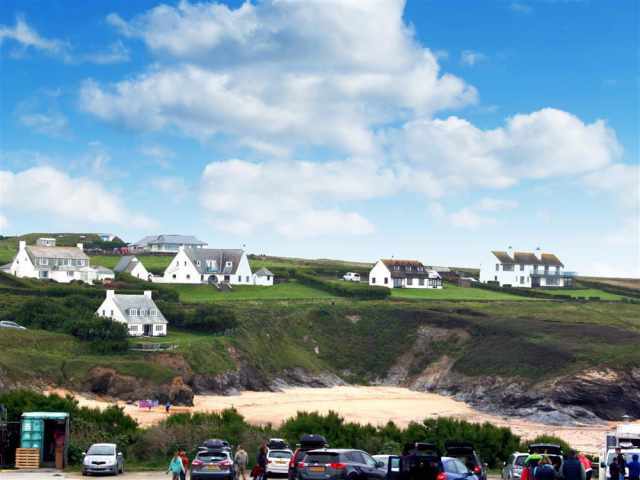 Undoubtedly some of the best sea and beach views in North Cornwall, Roswidden is the perfect base for a family holiday, celebratory get-together or romantic retreat. 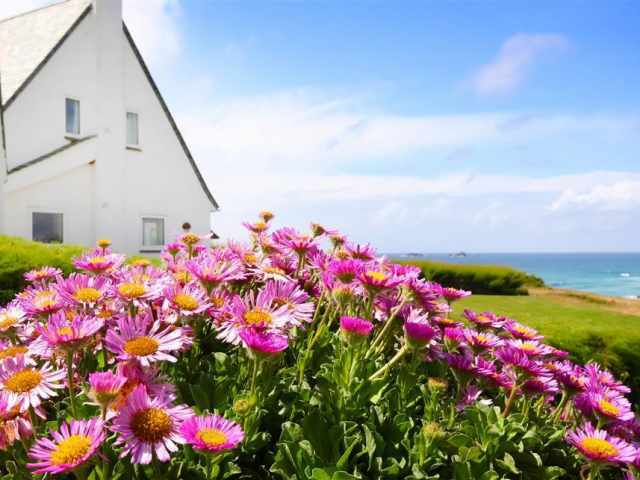 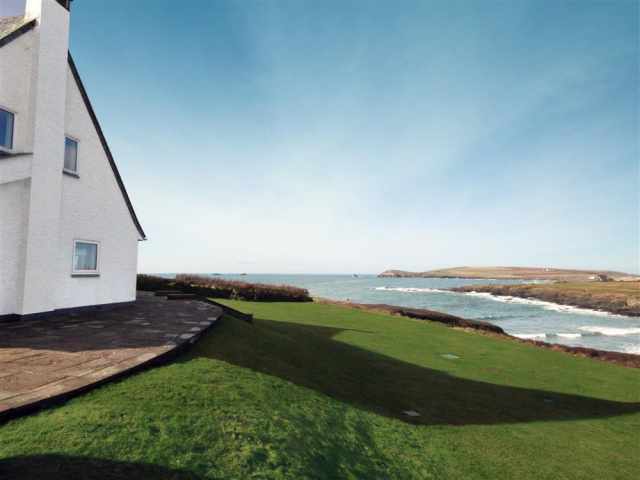 On the clifftop overlooking Treyarnon Bay (one of the seven bays) with direct access onto the coast path and beach below, this comfortable and versatile family home in such a terrific and enviable location is a serious contender for your next Cornish holiday. 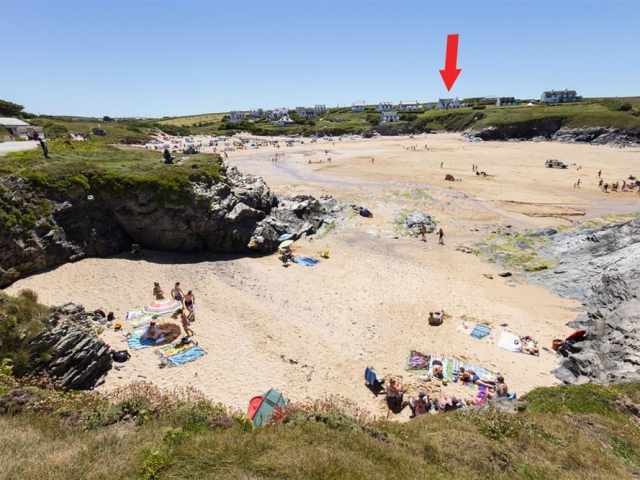 The beach at Treyarnon Bay is quite literally on the doorstep with a beach shop and pop up seaonsal cafe located in the main car park opposite the beach. 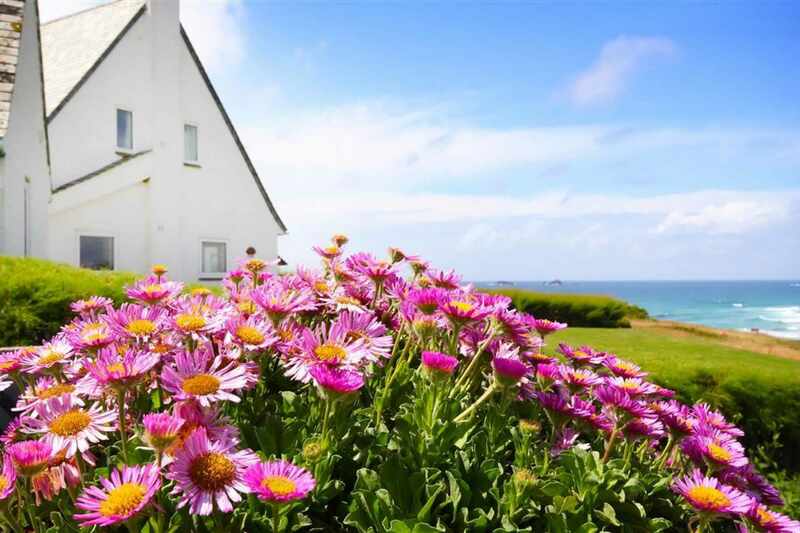 A larger selection of amenities including pub, restaurant, fish and chip shop, post office store and bakery are located in the nearby village of St Merryn which can be reached within a few minutes drive. 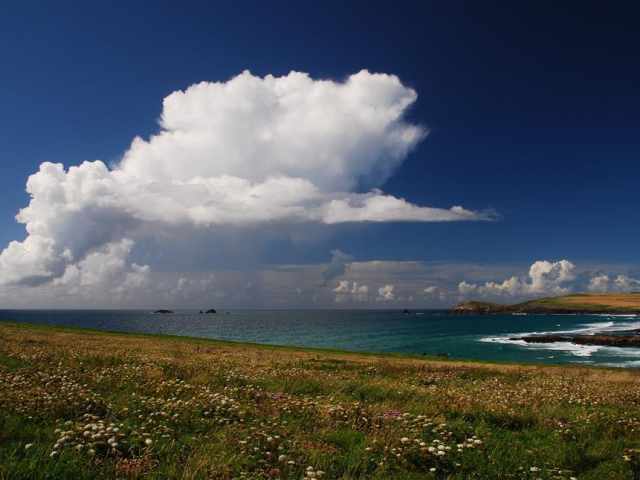 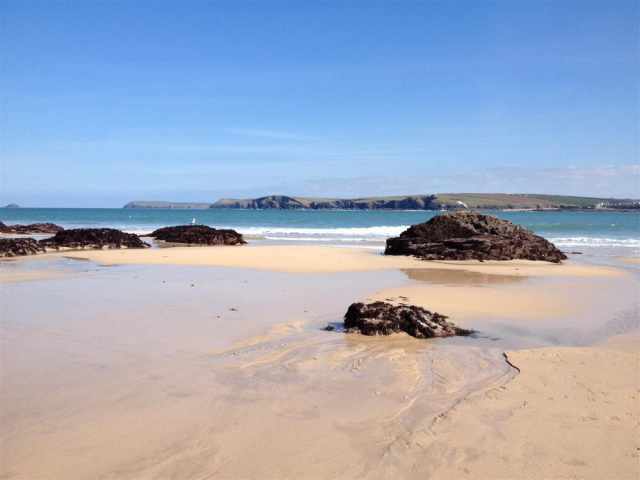 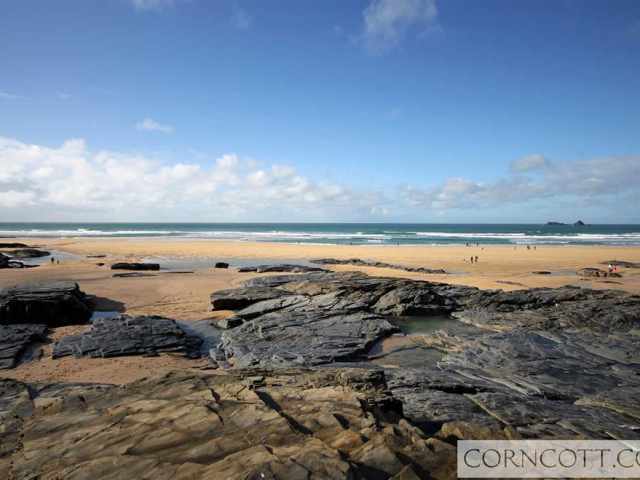 Padstow is a fifteen minute drive from Roswidden with the remaining six bays to discover at Porthcothan, Constantine, Booby's Bay, Mother Ivey's Bay, Harlyn and Trevone and are all within a fifteen minute drive of Treyarnon. 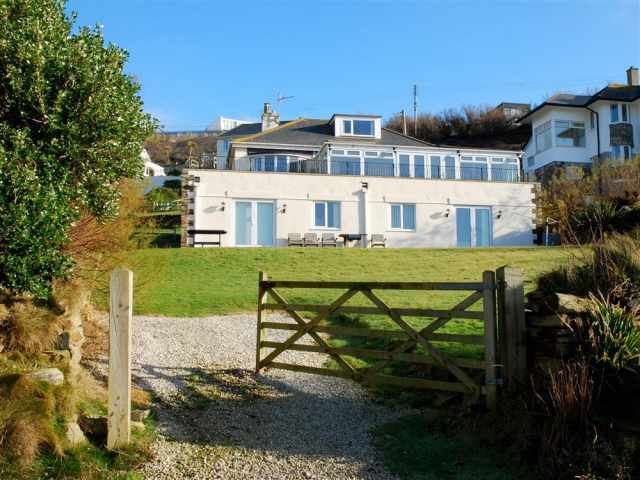 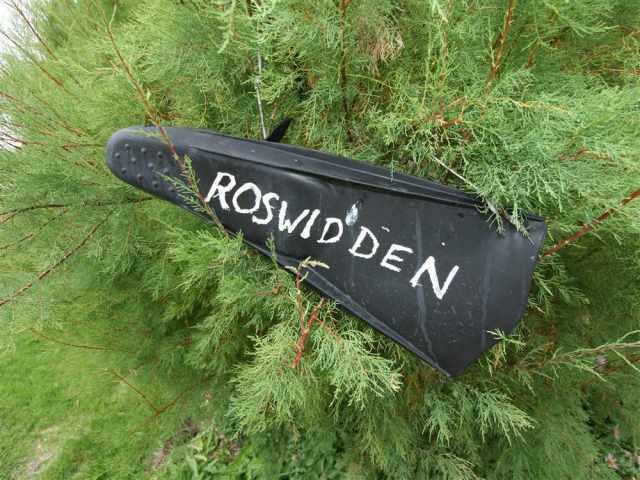 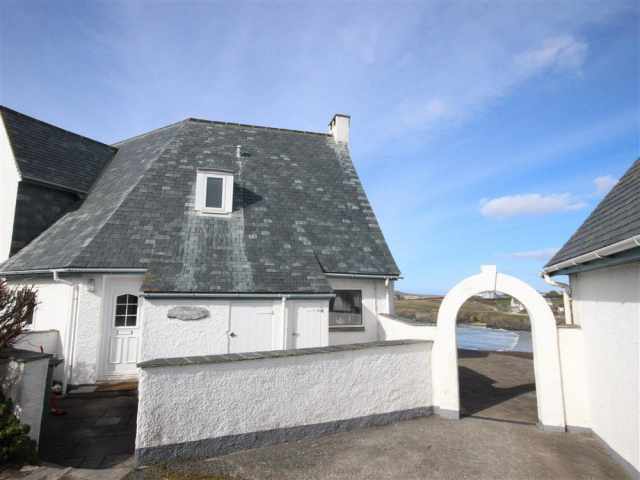 Roswidden is a large, detached property with sea facing terrace and large rolling lawn garden down to the sea and beach below. 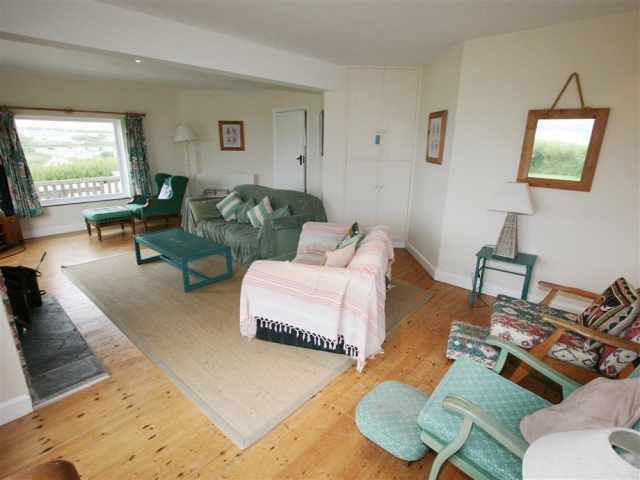 Entering from the front of the property is a spacious hallway with comfortable living room with wood burner off to the right. 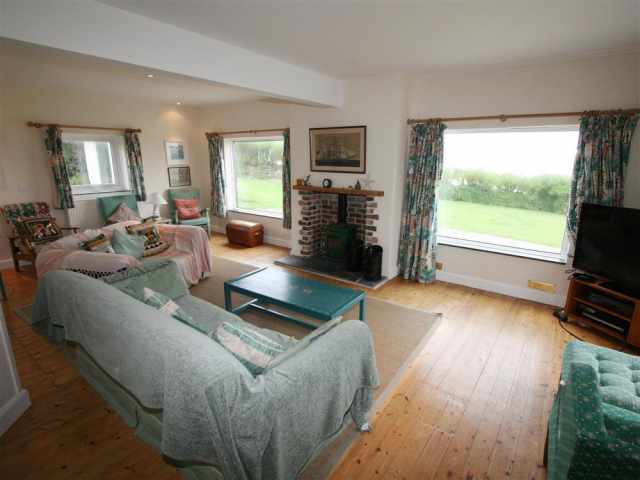 The living room has a triple aspect taking in the glorious views this property benefits from. 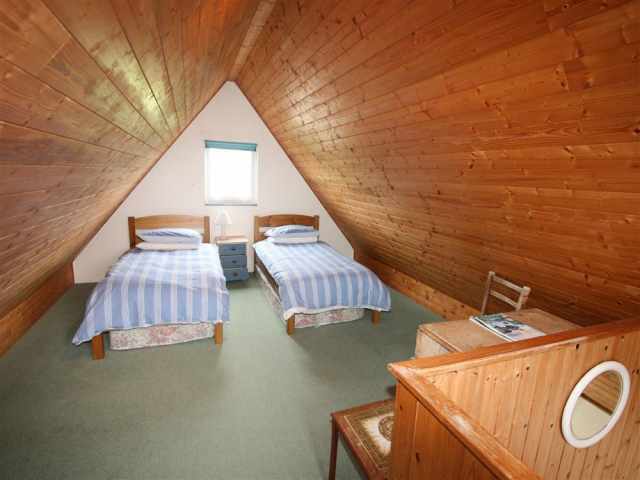 Next to the living room is a triple bedroom with full size single bed and bunk beds. 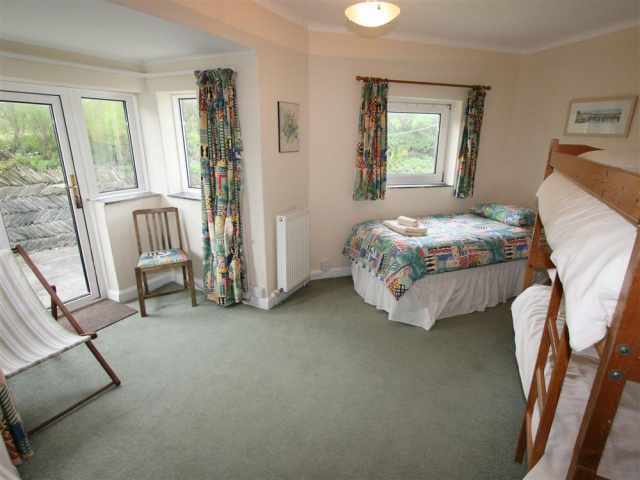 A patio door leads outside from this bedroom into the rear garden/patio area. 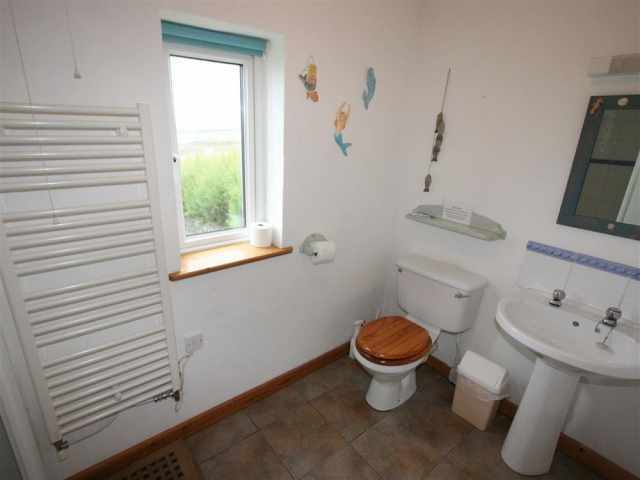 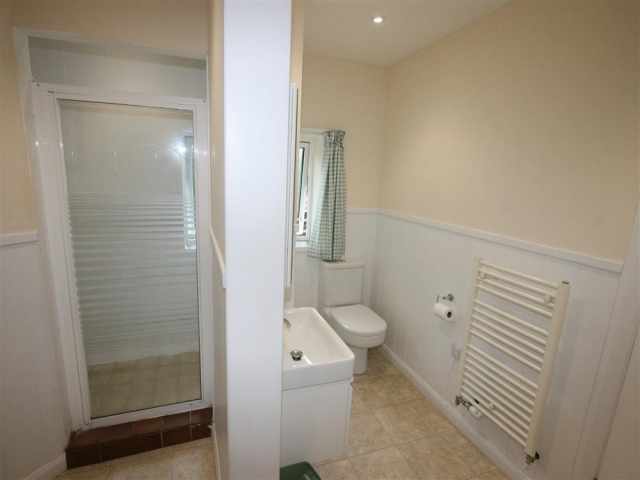 On the opposite side of the hallway is a handy ground floor shower room WC. 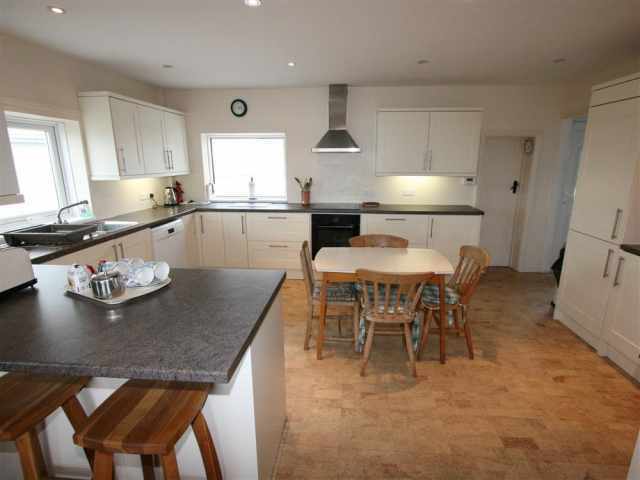 Finally, a spacious, fully equipped kitchen with pantry and dining area completes the ground floor layout. 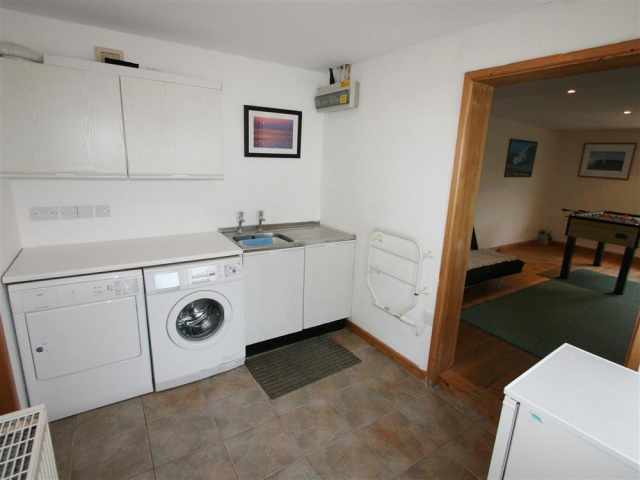 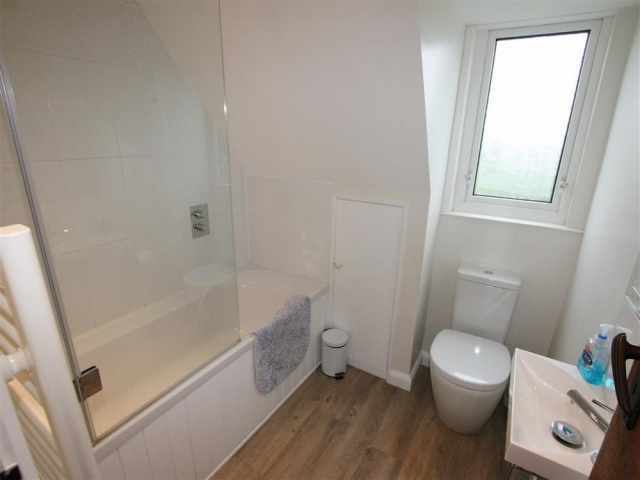 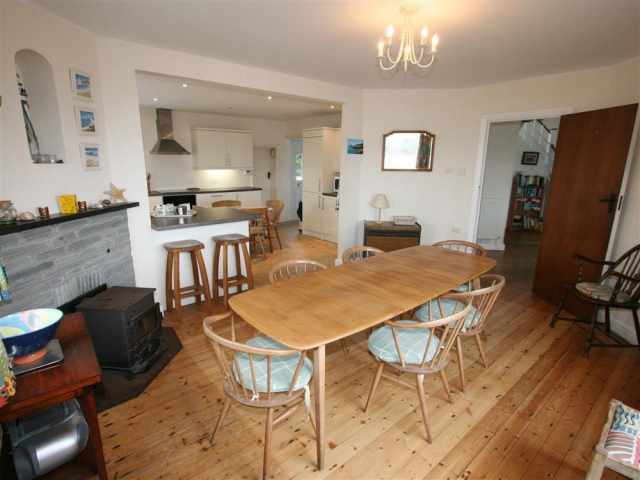 Attractive wooden flooring runs throughout the ground floor living accommodation. 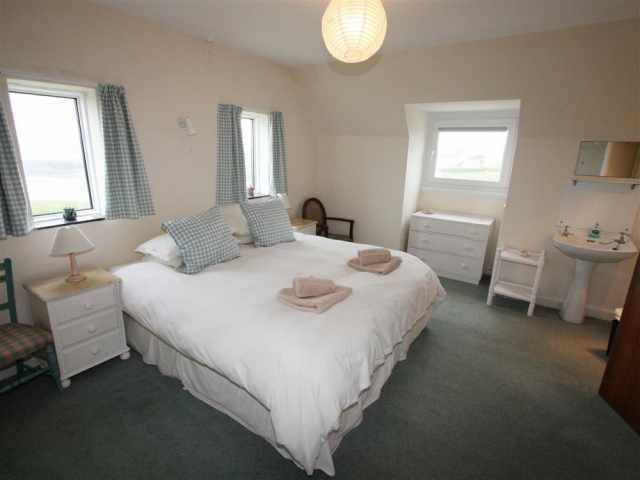 A split level, carpeted staircase leads upstairs to the first floor where you will find three further bedrooms which comprise of a 5ft double bedroom with a small balcony at the front of the property, a twin bedroom to the side and large super king bedroom with sea views as well as bathroom WC ensuite (electric mixer shower over the bath) and private sitting area with balcony to the rear overlooking the neighbouring fields behind. 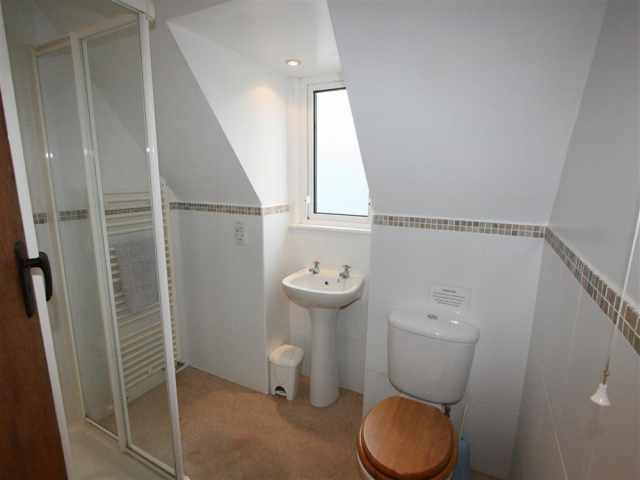 A further shower room WC next to the twin bedroom completes the upstairs accommodation. 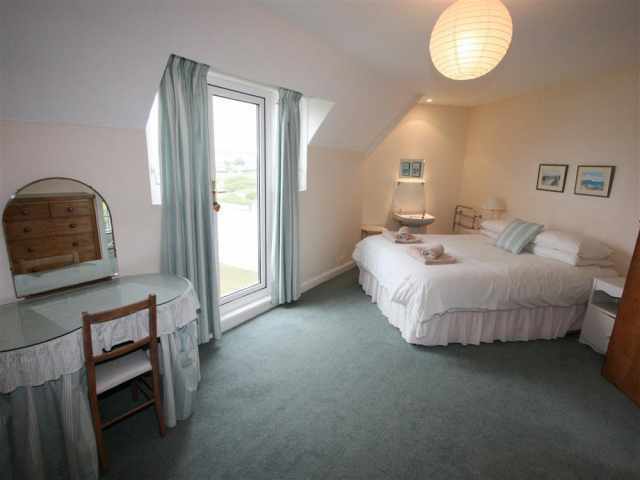 All bedrooms are carpeted and provide ample hanging and drawer space. 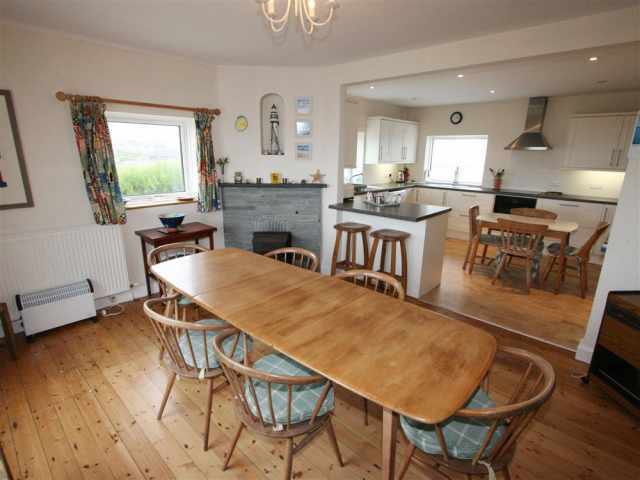 The property is heated via a combination of gas central heating in the cooler months, handy portable electric heating and wood burner to the living room. 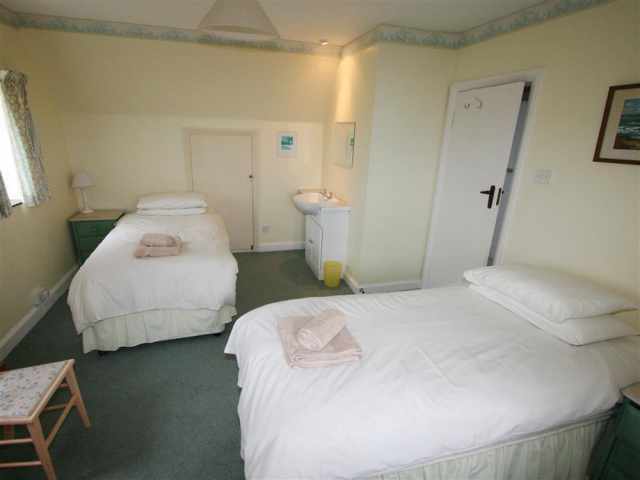 If needed there is extra sleeping accommodation for two in the upstairs of the detached annexe with two 3ft single beds. 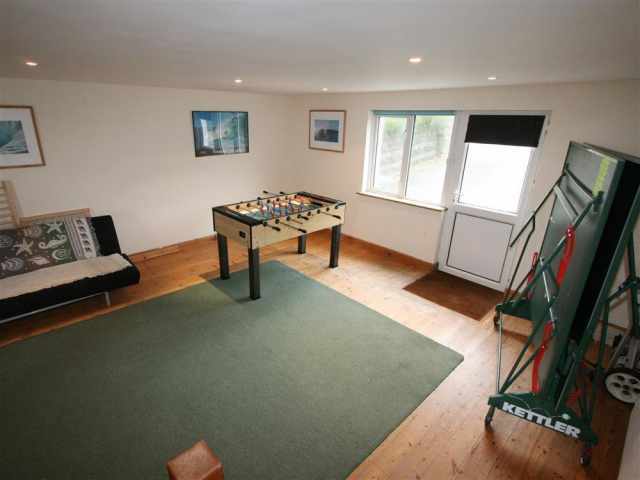 To the ground floor of the annexe is a utility/laundry room, further shower room WC and a games room with table football and ping-pong! 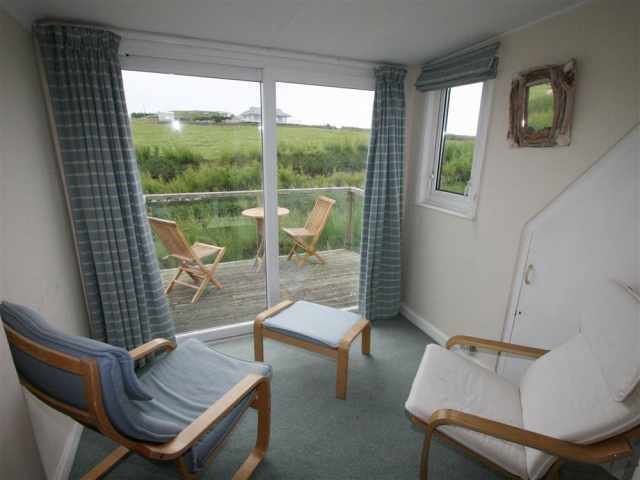 Outside to the front is a large sunny terrace with garden furniture provided. 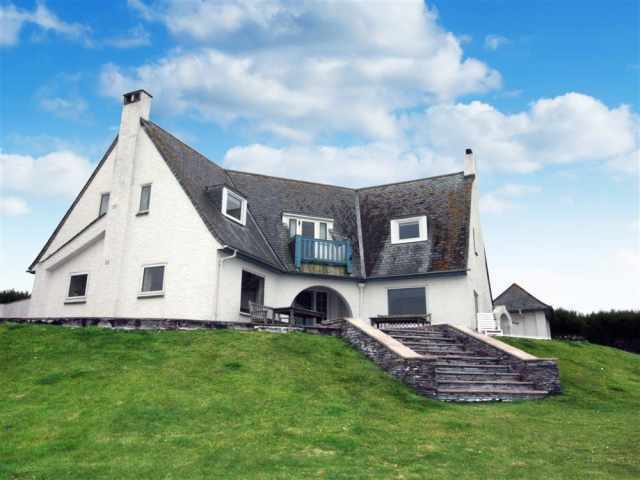 9 steps lead down from the terrace onto the large lawn garden where there is plenty of space for fun and games. 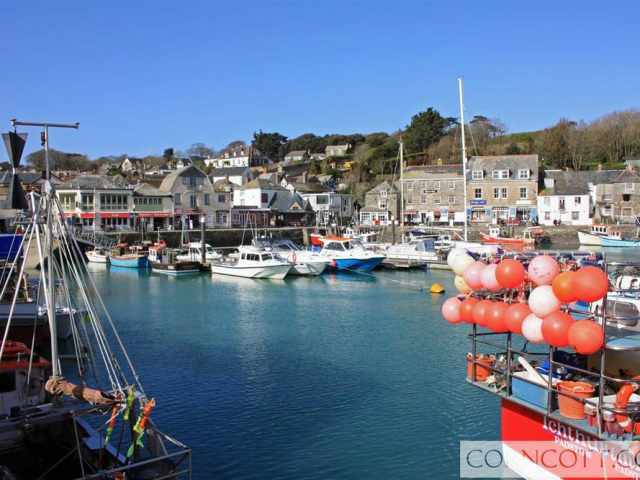 Ample parking is provided with a most useful 'loop' driveway for ease of access.